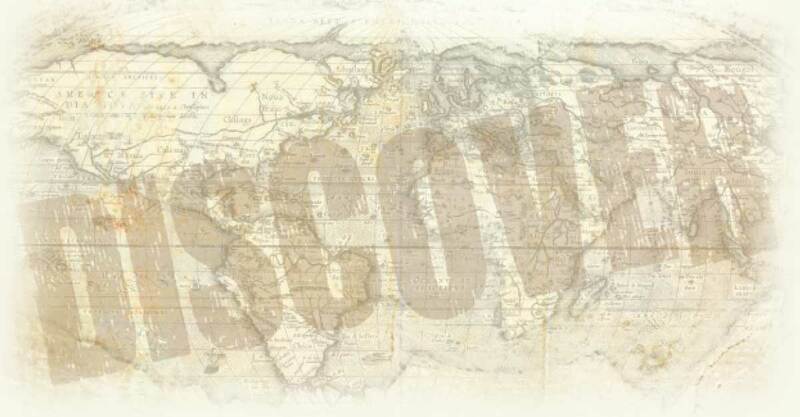 Join us as we journey to a land less traveled. The Upper Peninsula of Michigan is affectionately known as the UP. With captivating names like Lake of the Clouds, Silver City, Copper Harbor, Porcupine Mountains, Eagle Harbor, Bond Falls, Keweenaw Peninsula and Pictured Rocks, Tahquamenon Falls, Sault Ste. Marie, and Mackinac Island…it has to be good! 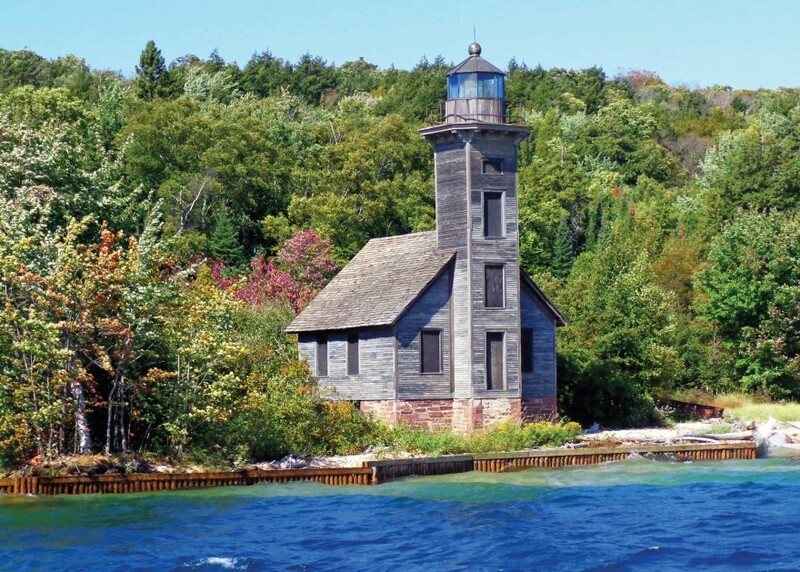 The Upper Peninsula is a quiet, undisturbed land of numerous waterfalls, clear bubbling streams, whispering mountains, picturesque bays, historic lighthouses, abundant wildlife, and ocean-like vistas of awesome Lake Superior. If you’ve always wanted to explore the highlights of northern Michigan & the Upper Peninsula, this is your trip! Welcome aboard! Our first stop is an R&J lunchtime favorite. With our tummies satisfied, we continue north through scenic northwoods Wisconsin to the Northern Great Lakes Visitors Center. Touting “Your Best Adventure Begins Here,” this world class center features wildlife, waterfowl, and bird viewing. Plus it has interpretive exhibits, a 5-story observation tower and an easy boardwalk trail through Cedar and Tamarack Wetlands. An early arrival at Hotel Chequamegon affords us plenty of time to enjoy this beautiful setting right on the shores of Lake Superior. An included dinner is served in the hotel’s waterfront dining room! A perfect evening to relax and enjoy the sunset over Chequamegon Bay. A timely start is necessary this morning as we lose an hour on the clock when we enter Michigan. Traveling through Ironwood, the Ottawa National Forest and Watersmeet, we arrive at Bond Falls. 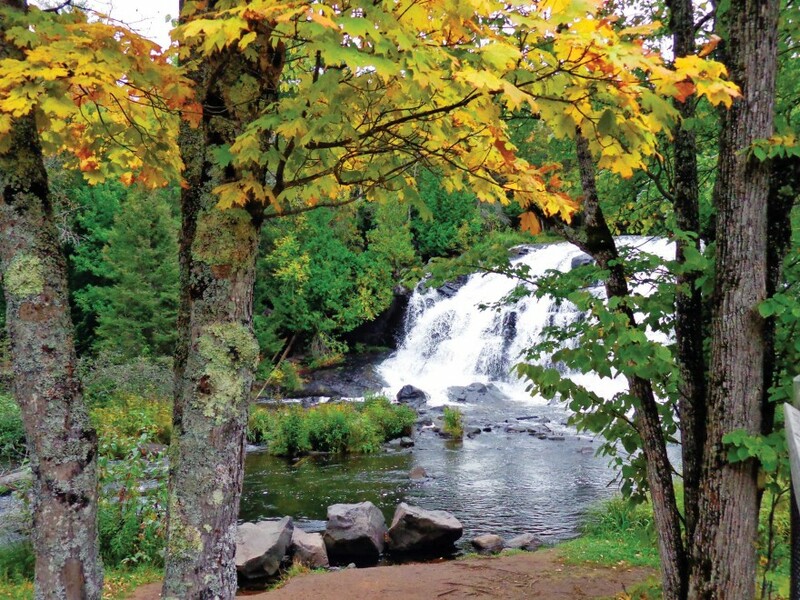 There are more than 300 waterfalls in the UP, but Bond Falls is often described as the most picturesque of all. It is particularly attractive because you can easily view it from below, above and all sides. You will have ample time to photograph and explore this magic place. We then make our way along the backroads to Silver City where an included lunch is served once again on the delightful shores of Lake Superior. Lake of the Clouds is a perfect name for our next destination. 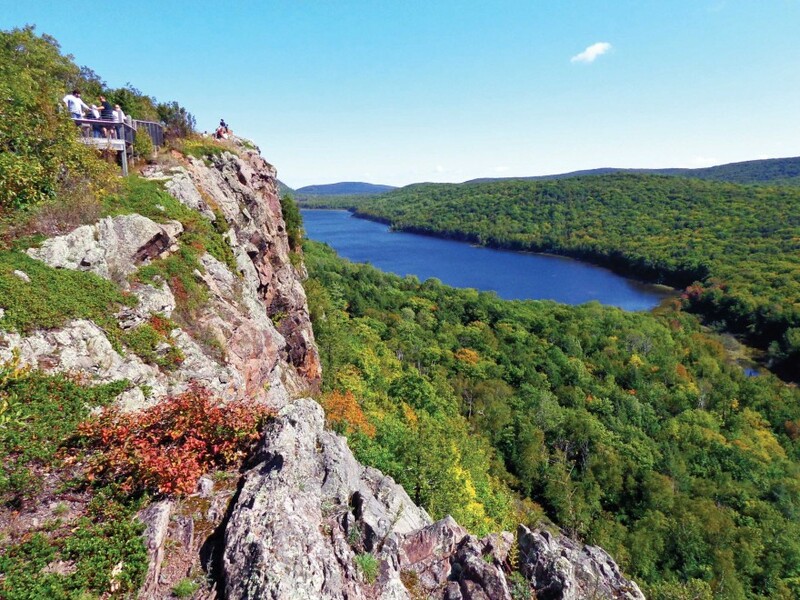 Tucked away in the Porcupine Mountains Wilderness Park, you are able to look down on this alluring wilderness scene. What a view! Our drive now takes us right along the sometimes thundering shores of Lake Superior to Ontonagon and then more wilderness travel into the Keweenaw Peninsula to Houghton. Dinner is on your own with the evening at your leisure. Following breakfast at the hotel, our adventure starts immediately with our step-on guide and a panoramic view of the city of Houghton. This is “lake effect” snow country with over 300 inches of snow a season! While we (hopefully) won’t see any today, we will definitely see evidence of it at Snow Gauge Park. You will be absolutely blown away at this snow depth marker alongside the road! 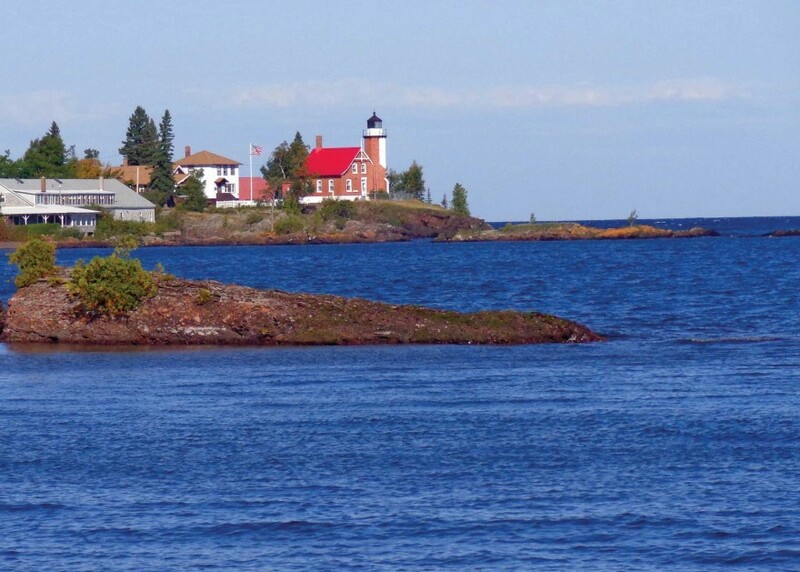 Eagle Harbor, tucked into the rugged shoreline of Lake Superior, is proudly protected by Eagle Harbor Lighthouse. If you love classic lighthouse picture opportunities, have your camera ready! Hugging the shoreline, we make our way along the northern most edge of the peninsula before we begin our assent to the top of Brockway Mountain. As the highest scenic roadway between the Alleghenies and the Rockies, it offers spectacular views of Lake Superior’s rocky coast a thousand feet below. Copper Harbor is as far north as you can go in Michigan. You are definitely no longer in your neighborhood backyard and we are certainly rewarded for taking the time to get here. It is lunch time and with few places able to host a coach group, we found a wonderful place! The Mariner North is northwoodsy, cozy, friendly and has amazing food! You’ll love it. After lunch, our guide will take us on a scenic route to Quincy Mine and make an additional stop at St. James of the Apostle church where you will view beautiful, detailed artwork and learn about the building’s history from a local. After a full day, we will return to the hotel for dinner on your own. We will enjoy breakfast at the hotel before we make our way to Munising, MI. with a stop for lunch on our own. 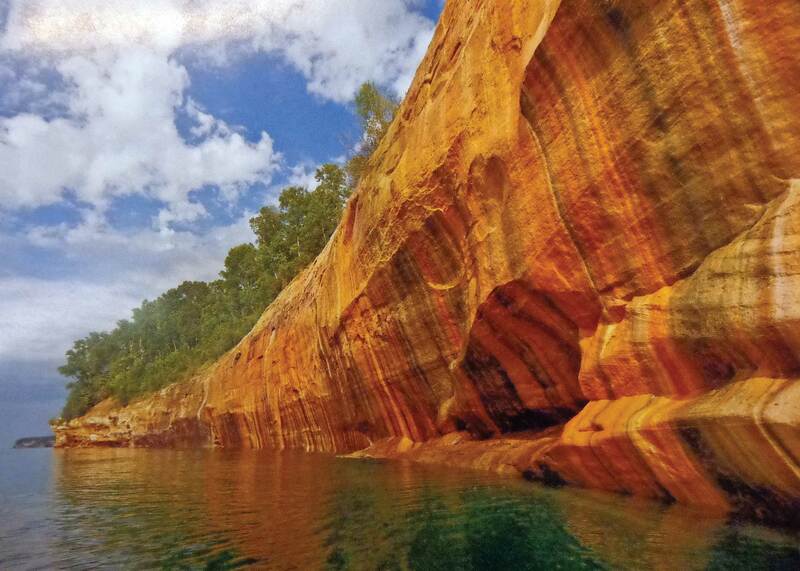 An afternoon narrated cruise is planned of the Pictured Rocks National Lakeshore, which extends over 40 miles east from Munising along the Superior coast with two-hundred-foot-high cliffs dominating the Pictured Rocks. The cliff faces are a continually changing tapestry of red, brown, black, turquoise, green and yellow stripes stretching down to Superior’s jade-green waters. The cliffs have been eroded into interesting arches, caves and pillars with descriptive names such as Chapel Rock, Lovers Leap, Miners Castle and Spray Falls. This is a golden opportunity to experience this hallowed place. Discover the Upper Peninsula as we skirt along the beautiful shores of Lake Michigan & Lake Superior. A step-on guide will be with us to visit the second largest waterfall east of the Mississippi River, Tahquamenon Falls, with its copper tint produced by natural minerals in the Tahquamenon River. Lunch will be served at the Tahquamenon pub located within the park. We’ll arrive at the Hampton Inn & Suites before departing on our next adventure, a wonderful sunset dinner cruise through the Soo Locks. Cross the Mighty Mac five-mile bridge that links the upper and lower peninsulas of Michigan, then ferry over to historic Mackinac Island. 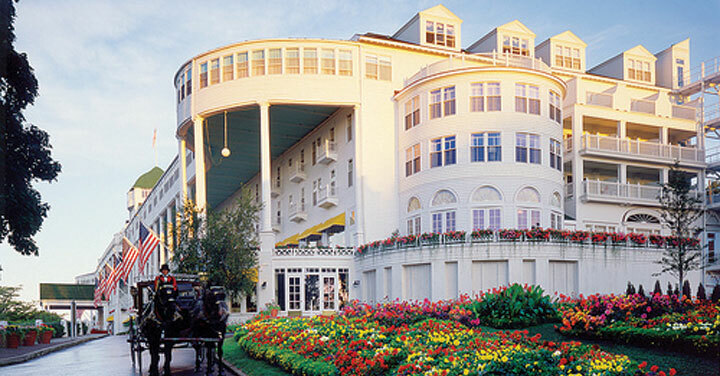 Our taxi carriage will be waiting to carry us to the Grand Hotel for a spectacular lunch buffet. 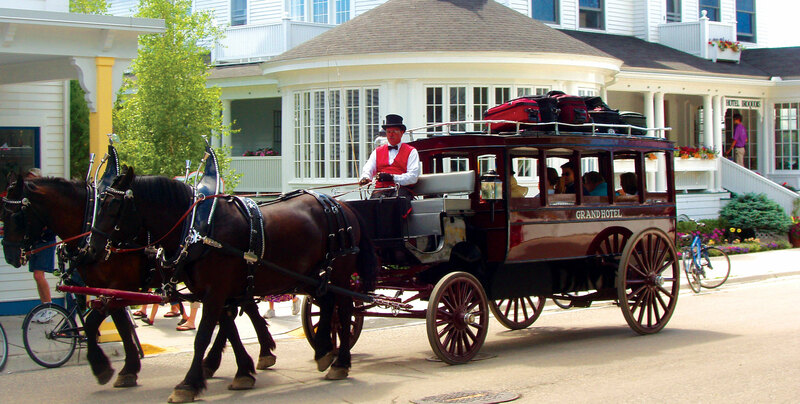 Following lunch, you will enjoy the horse and carriage ride to see all the sights this charming island has to offer. Mackinac Island has seemingly remained untouched-as it was when the first European settlers came here about three centuries ago. No motorized vehicles are allowed on the island: transportation is limited to horse, carriage, bike, or by foot! The remainder of the day will be at your leisure to enjoy the surrounding activities, shops, and scenery. Some may want to rent a bicycle or enjoy some of the world’s best FUDGE! After a great day on the island, we catch our ferry back to Mackinaw City. Breakfast will be served at the hotel before we motor along the beautiful shores of the west coast of Michigan, and on through the resort communities of Charlevoix. We’ll stop in Traverse City for lunch before we visit the Music House Museum, home to an internationally recognized collection of automated musical instruments displayed in century-old farm buildings. We’ll marvel at the treasures found here! Next we continue on to Ludington, a charming port town, where we’ll check into our hotel. We invite you, our special guests, to dinner at a delightful restaurant. Board the S.S. Badger in Ludington for an exciting 4 hour cruise across beautiful Lake Michigan. Options on board are many including: a movie lounge, historical displays, gift shop, and a light lunch/ snack area. 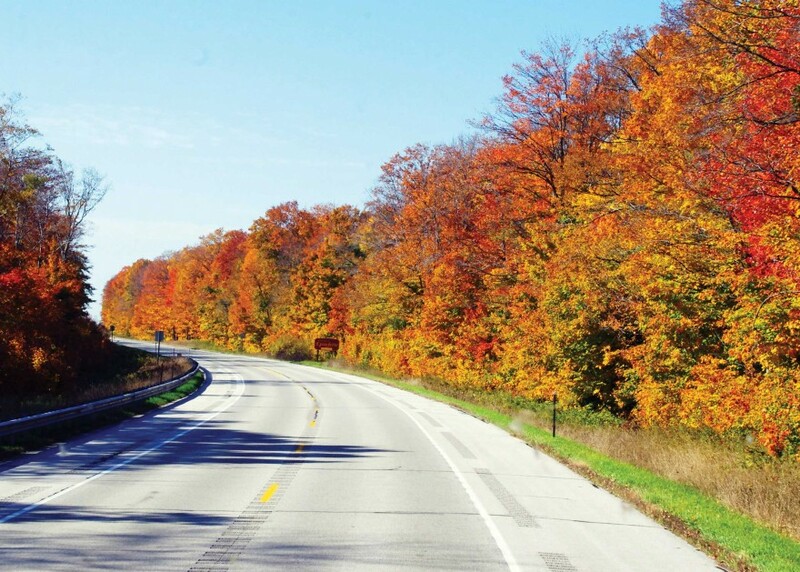 We’ll then cross Wisconsin and arrive home with wonderful memories of Michigan & the UP!